Motorola has shared the changelog for the update on its official website. The company introduced a total of 10 smartphones in the country this year out of which eight were from Motorola and two were from Lenovo. The brand is all set to unveil the latest smartphones for the Brazilian market. The Great Indian Festival Sale will be offering an exclusive range of smartphones for a starting EMI cost of Rs 999 per month, up to Rs 6,000 extra discount on exchange, an assured future exchange value of up to 70 percent, discounts of up to Rs 25,000 on laptops and up to 70 percent off on camera and audio products. The smartphone will feature a 6.4-inch Full HD+ display with a screen resolution of 2340 x 1080 pixels. The phone will be powered by Qualcomm Snapdragon 636 chipset with Adreno 509 GPU. With this price tag, the Moto G6 Plus seems to be an underdog when you compared it to the likes of Xiaomi Poco F1 or the recently-launched Vivo V11 Pro. The Poco F1 offers Qualcomm Snapdragon 845 chipset, while the Vivo V11 Pro is backed by a Snapdragon 660 chipset. Moto G6 series smartphones including Moto G6, G6 Play and G6 Plus were first launched in Brazil in April this year. Motorola had already launched Moto G6 and Moto G6 Play in India earlier. Motorola confirmation comes after the recent announcement from other smartphone brands like Sony and HTC that Android 9 Pie will also be rolled out to their respective devices. Having a large battery doesn’t necessarily suffice for a good battery life but it ensures that you don’t run out of charge anytime before the end of the day. If that’s the biggest factor for you when considering buying a smartphone, then this is the list of smartphones that you might want to look at. 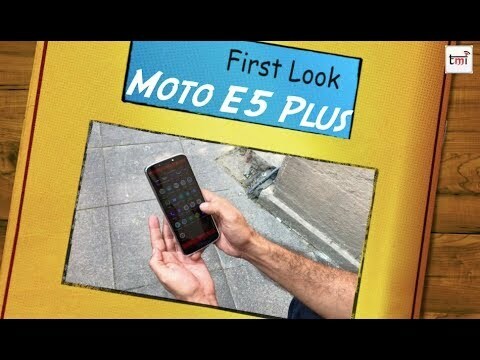 The Moto G6 Plus is said to be priced at a starting price of Rs 15000 while the higher variant might be priced between Rs 18,000- Rs 20,000 in India. Considering the specs and price tag of both the phones, does it make a valid choice for your next smartphone? We spent some time and this is what we think of it. The Moto G6 Play comes loaded with a 5.7-inch display with 18:9 aspect ratio, which has now become a standard in almost every segment. The smartphones run on Android 8.0 Oreo and support TurboCharge, which is present in other Motorola smartphones. The Moto G6 comes loaded with a 5.7-inch display with 18:9 aspect ratio, which has now become a standard in almost every segment. The smartphone runs on Android 8.0 Oreo operating system and supports TurboCharge, which is present in other Motorola smartphones.